The winners of the 2018 UK Coaching Awards have been revealed. The showpiece annual event, which is seen as one of the most prestigious by the coaching community, took place at The Honourable Artillery Company, London on Thursday 29 November 2018. 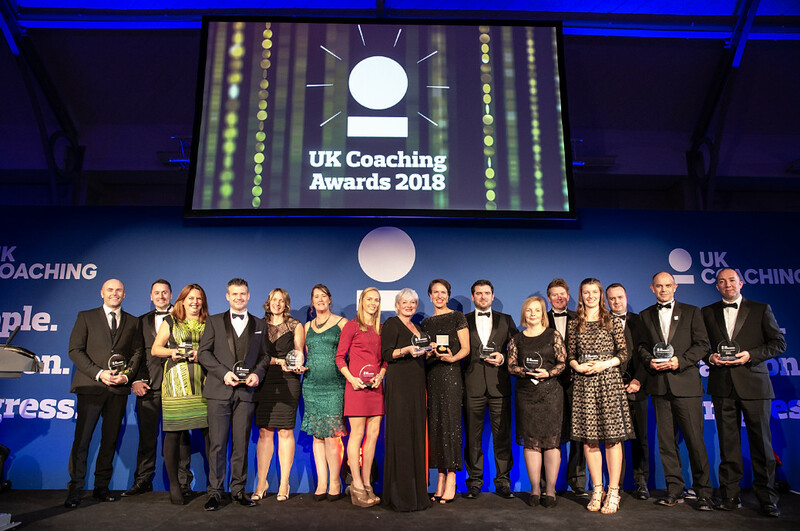 This year’s event, which saw a record number of nominations, continued UK Coaching’s celebration of great coaching, which commenced earlier this year with the UK’s first ever Coaching Week. “This is unbelievable. It’s not just what the three of us have done, or the players, it’s the whole of Otley that have got behind us. In The Coaching Chain category, Welsh Tour de France winner Geraint Thomas’ coaches were recognised for the contribution they’ve made throughout his life. The winning coaches were Tim Kerrison, Matt Parker, Rod Ellingworth, Darren Tudor and Debbie Wharton. Amanda Pirie, coach to Menna Fitzpatrick and guide Jennifer Kehoe, who won gold in the alpine skiing women’s slalom, and Eric Bernotas, coach to Lizzy Yarnold, who won gold in the women’s skeleton, were presented with Mussabini Medals (named after pioneer sports coach Sam Mussabini) to acknowledge their hand in creating GB winter Olympic and Paralympic success. “The UK Coaching Awards is a way for the nation to praise the great coaching that takes place, and a chance for us in the coaching sector to reflect and celebrate the effect great coaching has on society. “I am also thrilled to see that more women coaches were recognised for their great coaching expertise, which is testament to the hard work and dedication of many partners who work tirelessly to ensure we create a culture in the coaching sector where everyone can thrive.